When you create a design for your home, the window treatments are an important element of the design. 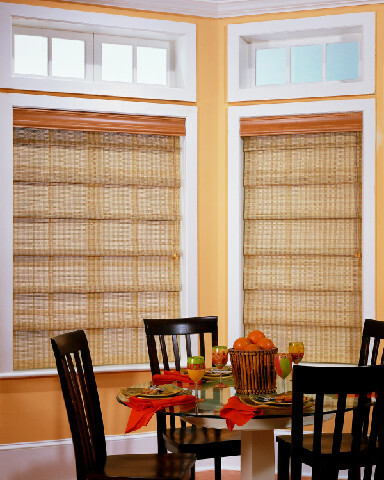 Window coverings can make your design complete, offering your living space a final touch that says, “home”. If you’re interested in looking at some options for shutters, blinds, draperies, curtains, and more, you’ll be glad to know about American Blinds and Shutters Outlet. When you want your windows dressed with elegance and sophistication, call on our window covering specialists. Hurricanes can drop by our Orlando area at any time during hurricane season, but hurricane shutters aren’t the only type of shutters or blinds available to you. There are many choices that not only add functionality to your windows but also make them more pleasing to the eye. Shutters and blinds come in many options, including those that hold up better but are manufactured to look like real wood. These shutters and real wood shutters add charm to your home as well as help with protecting it from the outdoors. Window tinting is a great way to add privacy to your home. It’s always a good solution when you have an area of your home that is facing direct sunlight. Window tinting can help you lower your energy costs as well by blocking out a lot of the harmful UV rays. It will work to protect your furnishings from sun damage as well. When you’d like to block out some of that sun, but still be able to see clearly through your windows, tinting is one of the best options. American Blinds and Shutters Outlet provides area residents with superior window treatments and installation services. We have plenty of options for you in shade designs that will elevate the look of your living spaces. If you’re looking for something sophisticated and beautiful, or something traditional and cozy, we can help you. We also have the most modern widow shade systems available as well, with features like remote controlled operations. Drapes and curtains can add elegance to your home. They can take a room from simple with a country vibe to elegant and traditional. Modern design is also reflected in today’s drapery and curtain choices. Whether you would like curtains, drapes, or another window covering, it will add an elegant touch to your design. Curtains are normally made from thinner material than draperies. Drapes can also block the sun’s rays and add protection for your furnishings.